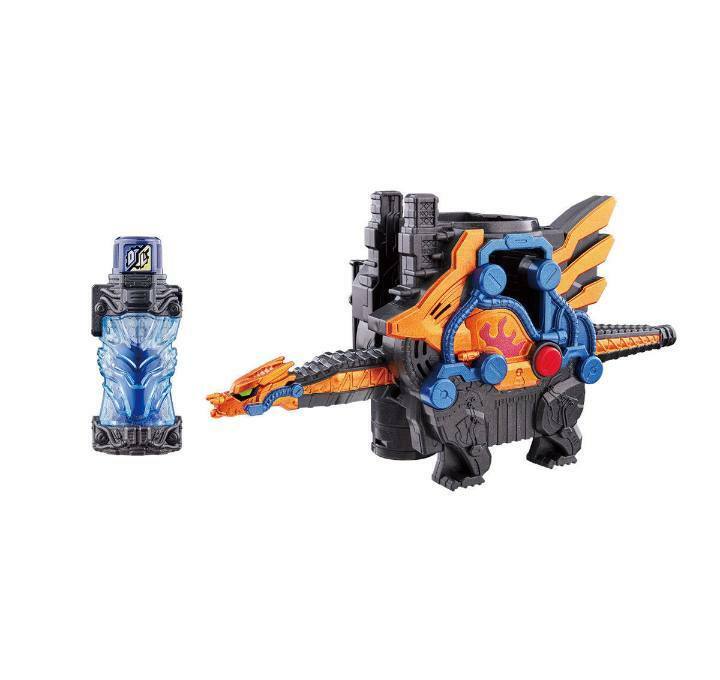 Bandai's official B-boys site has posted the official images for the DX Cross-Z Dragon & Dragon Full Bottle Set, the item that will let Ryuga Banjo transform into Kamen Rider Cross-Z. 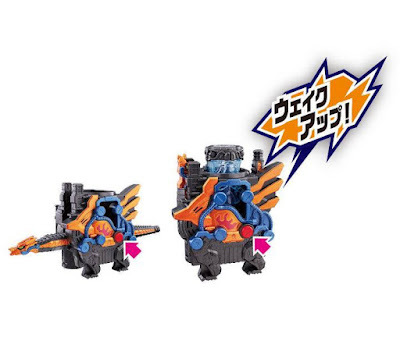 To activate the DX Cross-Z Dragon (which looks like the Castle Dran from Kamen Rider Kiva), insert the Dragon Full Bottle in it, turn the head and tail in the diagonal position and connect it to the DX Build Driver (sold separately) which will activate the sounds "Are you Ready?" then crank the lever to activate the "Wake up burning! 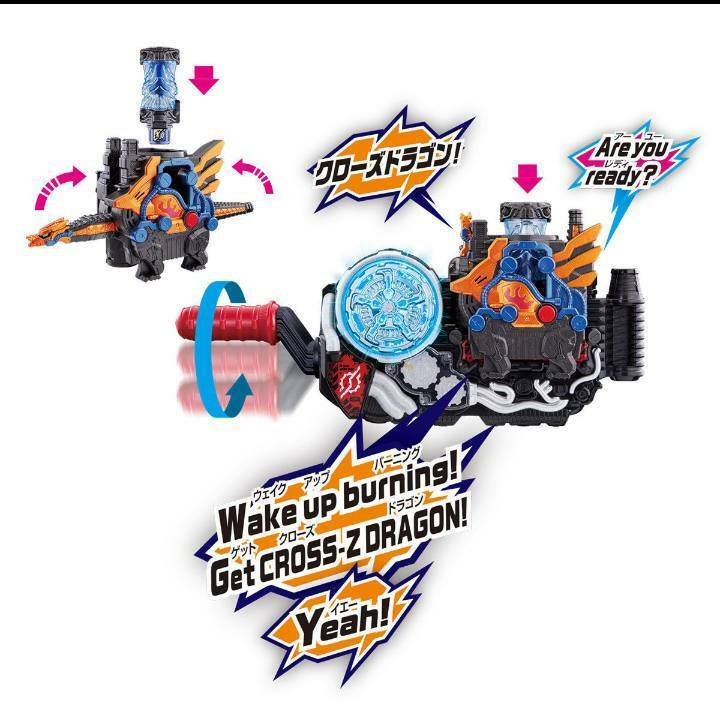 Get Cross-Z Dragon! Yeah!" sounds. The DX Cross-Z Dragon & Dragon Full Bottle Set will be released on November 18th for the price of 3,024 yen. I wonder if we'll only get one form for Cross-Z, considering he can only use one full bottle at a time. Um, wouldn’t the lever just function the same way without the dragon attatched? You know: activating the “Are you ready?” AFTER the lever is cranked?